A New Best of Boomer Blogs just for YOU! What have I been doing? Loving life in our new home in the foothills, whenever I can get out of my own way. Compulsive behavior takes over for both Mike and I when we move into a new space. We have been overdoing it for the past few weeks, and it’s catching up with us! That’s where the incredible beauty of this place comes in. 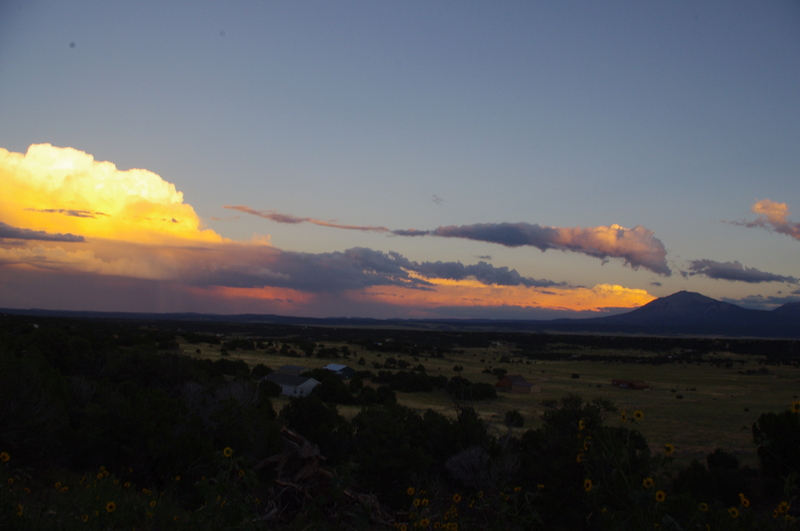 Check out our sunset last night over the Spanish Peaks, a real attention-grabber! Every time I look outside I am AMAZED at where I live. But enough about me, what have the rest of my fellow bloggers been up to? On The Survive and Thrive Boomer Guide, Rita R. Robison, consumer journalist, writes about an Ohio couple who weren’t allowed to have a natural lawn. The St. Albans Township threatened to send someone to mow the lawn accompanied by the police. The couple compromised and used a scythe to cut the height of their lawn down to 8 inches, hoping that would give them time to figure out some other solution. Robison, who’s written about “freedom lawns,” thinks its O.K. to let your lawn turn in to a meadow. Tom Sightings invites you to see if you can figure out which ’60s icon he’s talking about … before the big reveal. Hint: He’d be the same age as Bob Dylan and Bernie Sanders. Go on over and try it out at Remember Me? This week Meryl Baer of Six Decades and Counting visited the town she lived in for over 30 years and was pleasantly surprised. The city is experiencing a renaissance and reawakening, a previously neglected center city coming to life. Read her observations in Revisiting My Hometown. Here’s to having a great new week out there! ← Enjoying a lazy day after our second move in a year! Thanks for the shout outs to all those other blogs. Wonderful pics too. Beautiful! 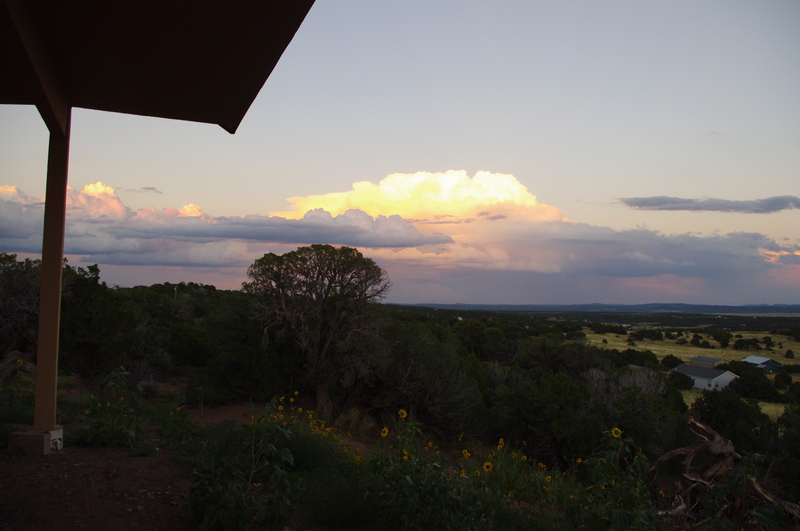 Reminds me of when I was visiting my sister’s place in Hotchkiss near Grand Junction.